» Secrets of Valhalla – Spotted in the Wild. Look at what my lovely editor, Andrew Harwell, at Harper Collins spotted at Barnes and Noble in Tribeca! 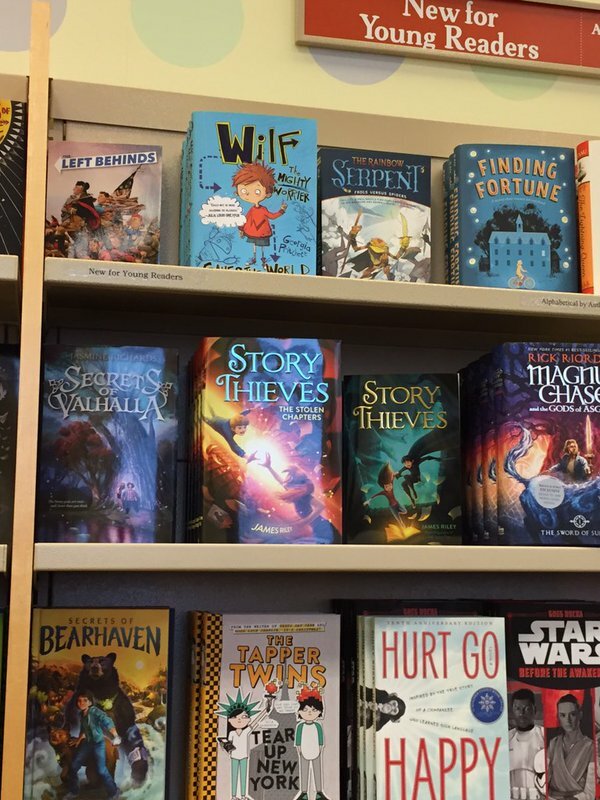 Secrets of Valhalla out in the wild and holding its own against some other lovely books perfect for middle grade readers. For more recommendations for books for this age group check out this blog post I did called 6 Middle Grade Books for Fans of Norse Mythology.